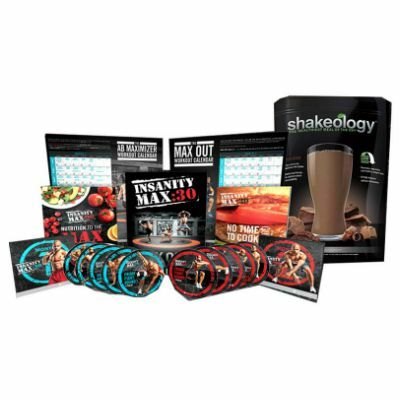 The INSANITY MAX:30 and Shakeology Challenge Pack can help you MAX OUT your results and results! Just combine INSANITY MAX:30’s crazy 30-minute workouts with Shakeology, the ultra-premium nutritional shake that can help you push harder, stay healthy, and get to your fitness goals even faster. You can even start streaming your INSANITY MAX:30 workouts, because your Challenge Pack includes 30 days of FREE access to Beachbody On Demand!